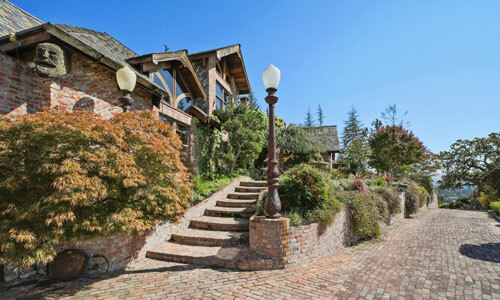 On the market for $3.475 million, this Alamo, California, home gives a new name to the “reduce, reuse, recycle” mantra. The fireplace mantle had a previous life in a bar on Oakland’s waterfront, and the stairs are an assembly of old fence pipes and the pews from a burned-down English church. The rafters were salvaged from the abandoned Oakland Army Depot and carved into a collection of whimsical creatures. Most of the more than 120,000 bricks used in the home were found in an old warehouse in downtown Oakland. This Victorian-era home has more than a few skeletons in its closet. 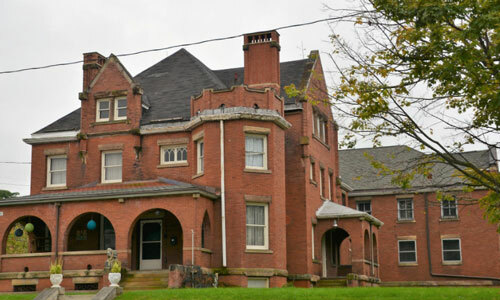 The Bedford, Pennsylvania, property, which is listed for $394,900, was originally built in 1895 as the Bedford County Jail and continued to run as a holding facility until 1990. While in the front rests a family home, the original jail cells still reside in the back of the 8,253-square-foot property.